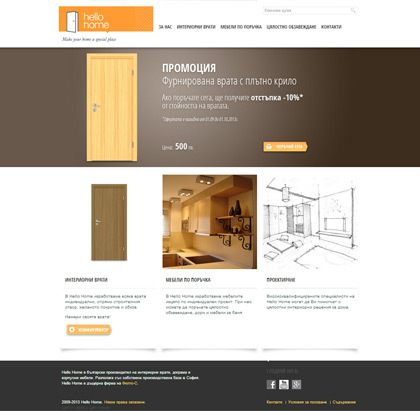 Hello Home is a manufacturer of interior doors and modular furniture. 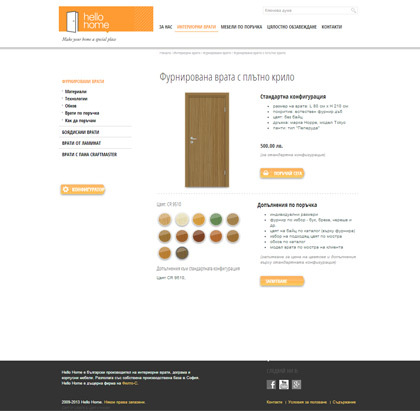 It has its own factory, works with high quality materials and can produce both standard interior doors and furniture for individual projects. 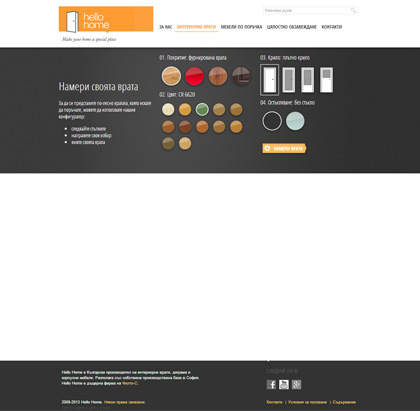 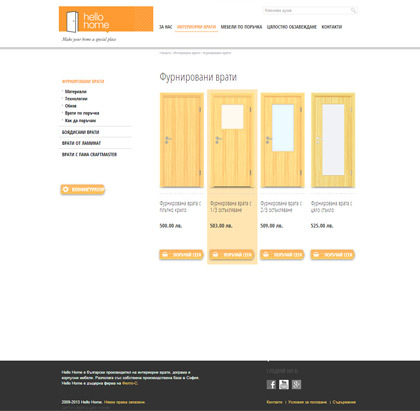 Hello Home website presents extensive product doors catalog with product configurator where you can search within the variety of doors - by wings, colors, coatings, glass and others. 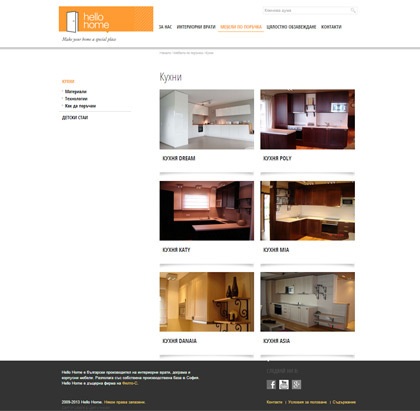 You can also see some of the interior design projects and furniture made for company clients. 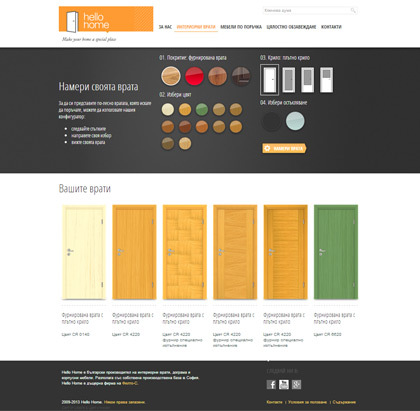 The entire site content and product configurator data are updated continuously by Hello Home team.